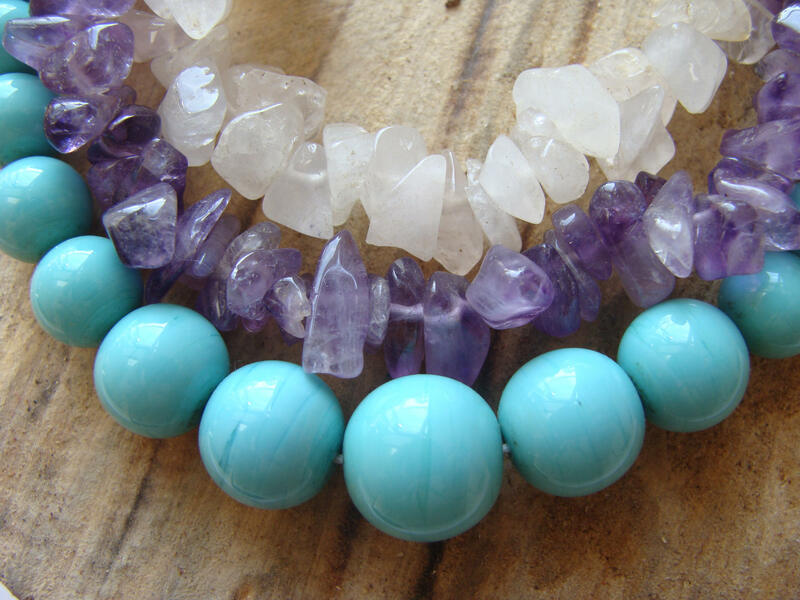 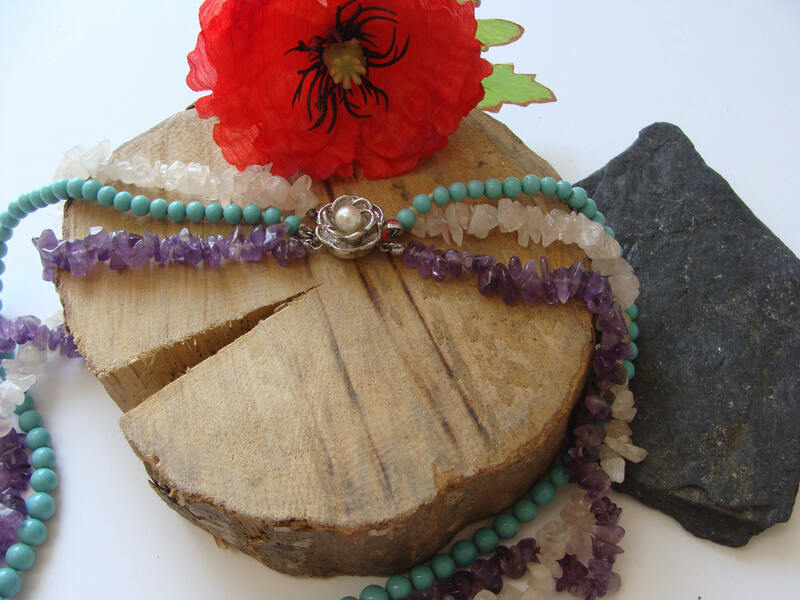 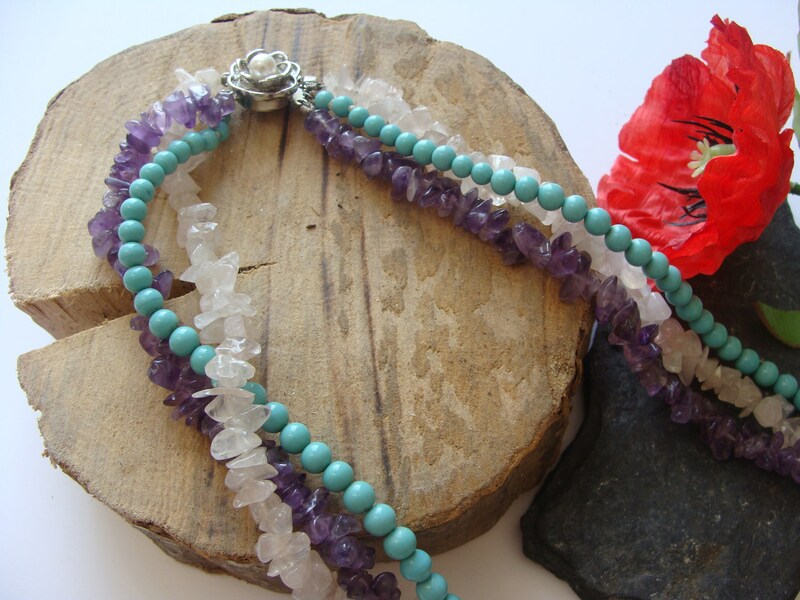 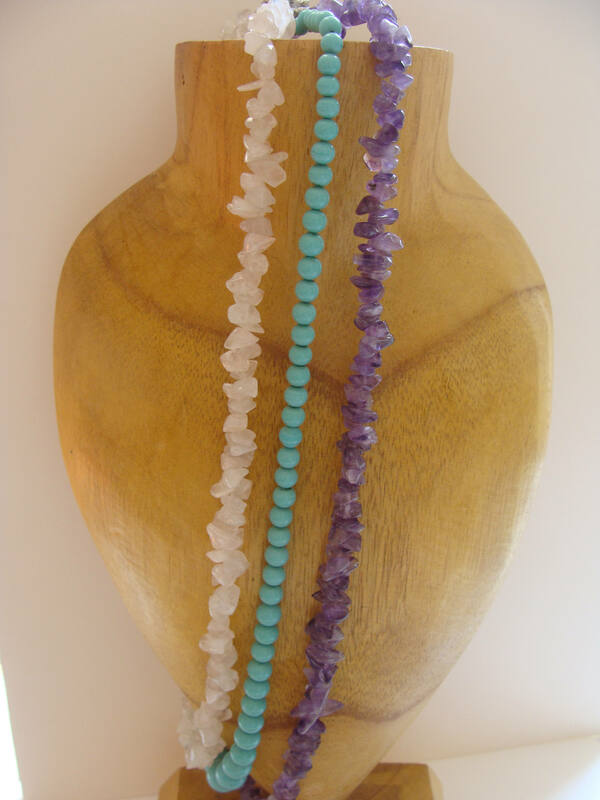 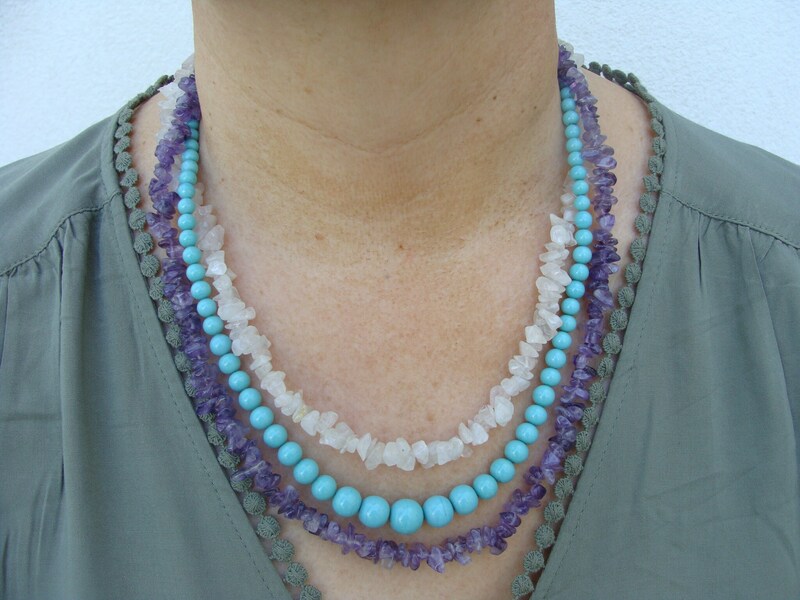 Mid-length necklace composed of three rows of precious stones: genuine amethysts, reconstituted turquoises and genuine pink quartz. 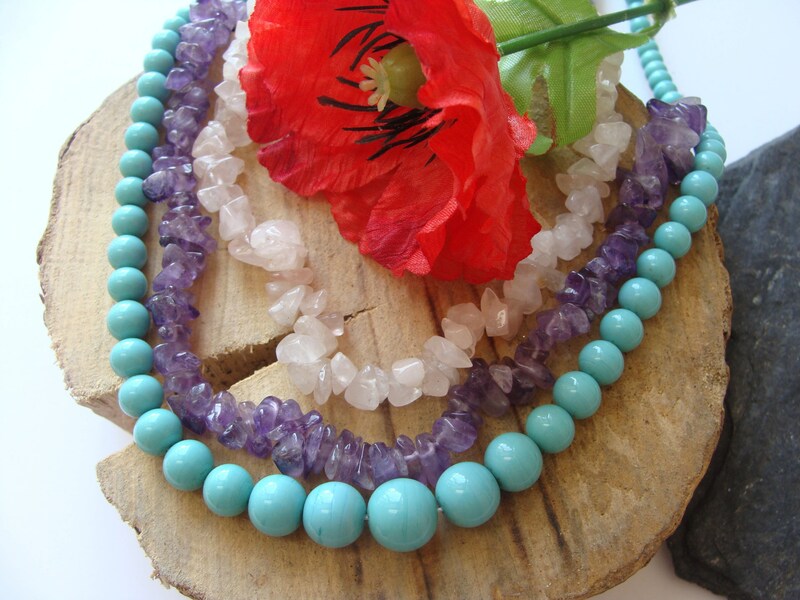 Beautiful harmony of color! 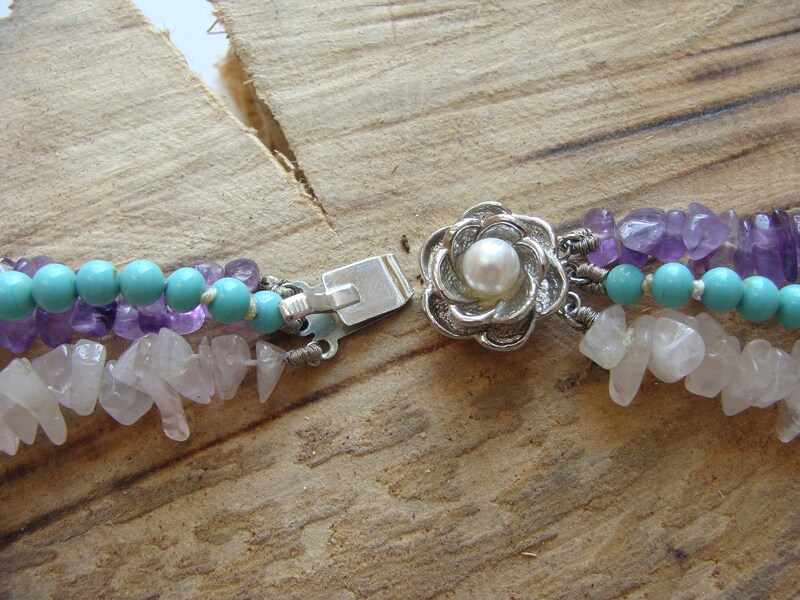 Clasp in silver metal with a flower motif adorned with a pearl imitation.